The new highs reached by digital assets in December 2017 were important for the cryptosphere as this convinced tens of thousands of investors to hop in and join the already happy crypto enthusiasts. Indeed, it was a remarkable year for this revolutionary technology. It was so hard to stop oneself from reading or getting informed about cryptocurrencies. News and publications about cryptocoins could literally be seen everywhere; online and offline; newspapers, live shows, radio programs, blogs, websites, social media, to name the few. The media was all about Blockchain technology and cryptocurrencies. The early adopters of Bitcoin were the ones who laughed the best. The token they got for less than a dollar in 2010 was valued over $15,000 USD just seven years later. And while some analysts were busy warning the mass from getting insanely carried away; thereby investing all their life-savings on digital assets, nearly no one listened. It was so hard to control oneself when you see some early adopters who happened to be your friends made several grand of USD. It looked well like Bitcoin was ready to reach another height as $20,000 USD per token looked attainable. But instead, things turned the other way. There have been so many ups and downs in the cryptocurrencies markets this year. In February, many coins dropped in value by more than 50%. Crypto traders were left in agony here and there but that was just the beginning. We never knew what was coming. Or perhaps, we were not ready to see this happen. We thought things would turn the other way round after a few weeks, and digital assets would rise in value again. However, instead of fighting their way out, cryptocurrencies seem to have met some beautiful women, got married and started a family right in the downtrend. Family, they say can make us do some crazy things after all. But then, despite the ups and downs in the crypto markets this year, great people with visions; ideas and objectives are raking in millions of USD through ICOs. Nearly everyone has ideas. Getting ideas is not a problem, turning them into reality is where the real work lies. Sometimes you will have great ideas that can benefit not only you but whoever joins the cause but end up being tied to a corner by lack of funds. At this junction, many people will take the road that leads to crowdfunding; trying to source the needed capital for their projects. And that is what ICO is like. ICO, Initial Coin Offering is more or less IPO and crowdfunding. The difference is, this is done on Blockchain technology. And for this to be on Blockchain, three factors differentiate it from IPO: Foremost, just like every other system on Blockchain technology, it is decentralized - no governing authorities, third party or middlemen. Also, there is no regulatory party overseeing it. And lastly, since there is no centralized authority and this is largely unregulated, ICOs are considered to be freer in terms of structure compared to IPOs. You sit down, get some awesome ideas, make some plans and build an irresistible project. In your plans, you include a coin - a protocol token that serves as leverage for people who are going to help your project by investing in it. This token or better still digital asset will be offered out to these donators (but investors in reality) and it kind of represent their belief in the success of your project and at the same time, their rewards for supporting you with their hard-earned money. This means this so-called token must have the potential to rise in value in the coming months or years; and to be candid, the former (months) is what is expected. Although it is literally called "donations", the truth is, it is all about investment. There are countless crypto enthusiasts looking for good ICOs to invest in every day. Investors acquire as much information as needed about a particular ICO through the whitepaper. Whitepapers say a lot about a project. A well-detailed whitepaper showing a clear conscience and great roadmap can motivate investors. So when crypto fanatics and investors see how much potential the project has and how successful it can become, they invest some fiat currencies or maybe some other popular digital assets into the ICO and wait for the token they acquire in return to be successfully launched. When the new token is launched, investors will get these tokens according to the token price with respect to how much they invest with. The tokens are created and distributed to investors by ICO managers. A successful launch will result in the protocol tokens given out to investors through ICO rise in value. The value of the token will climb above the set price during the launch and investors can start selling these tokens or keep investing more in them. There is a mutual benefit in action here. You get to raise more than enough money needed for your beautiful project and make your dreams come true, and in return, those that invested in your projects hold some digital assets which rise in value and get them multiples of they invested. Business is all about making more money after all! What makes Trade.io your best bet in creating ICO for your project? How successful a project or campaign will become depends largely on the team behind it. There is no shortcut to success. You just have to do things in the right way. When an ICO campaign is managed by an enterprise that boasts of in-depth knowledge, experience and high success rate from the past projects they have handled, there is nothing that can stop such ICO the project from being a success. As regards Trade.io, the record says it all. Raising over $31 million USD for ICOs in a matter of two months is not something that any crypto enterprise can achieve. Over $100 million USD total funds have been raised from eight completed projects and more than fifteen projects are currently at hand. 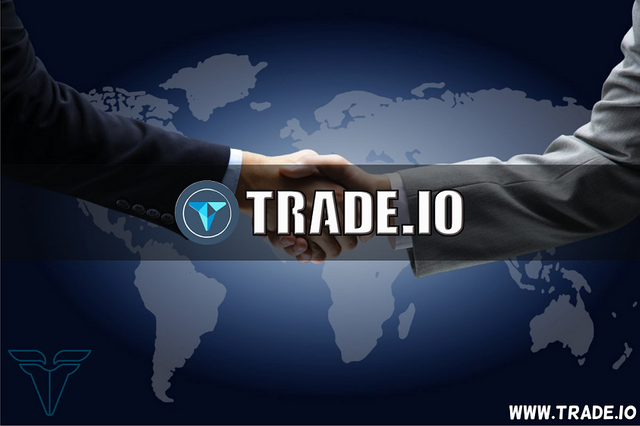 Trade.io boasts of experts that have in-depth knowledge and experience in cryptocurrency, Blockchain technology, finance, and investment. This team comprises of crackerjacks will connect you to a community of proficient investors in both cryptocurrency and finance worlds. Trade.io is the best company that can get you a successful ICO campaign. You may want to take a look at how their ICO service works. The information contained here shall not be used as a guide in your next crypto trade. The writer is not a financial adviser but a crypto trader just like you. Information presented in this post is for educational use only. What a wonderful article to educate the world on this ICO topic . We often hear ICO ICO but no one has gone this deep to teach us what it really means,...Thanks .I am going to resteem this right away.